Sorry about that. I'm just too excited. 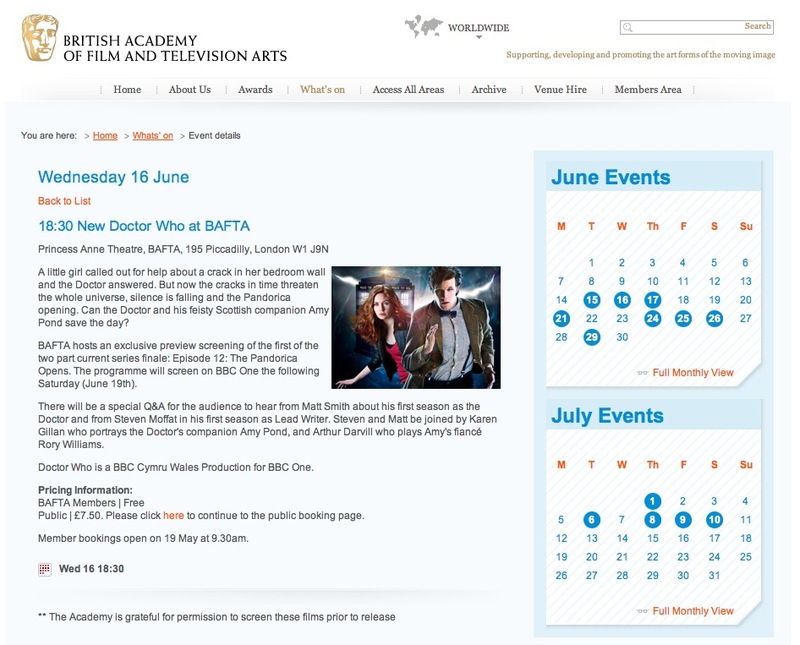 Tonight I was priveliged to attend the Bafta preview screening for the penultimate Matt Smith episode, The Pandorica Opens. 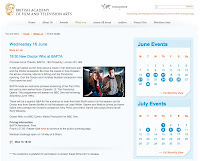 I arrived at Bafta in good time, but had apparently missed the arrival of Matt and Karen. The street outside was packed with fans, a few of whom had managed to grab a rare autograph from the stars. Looking around a spotted a familar little face, a face familiar too to anyone who reads my blog: Jack, the youngest Eleventh Doctor cosplayer I know! I went up to him and said 'You must be Jack!' he looked at me confused, but his started to smile as he noticed my shirt. 'Matt Smith wears a shirt like that!' he exclaimed. I introduced myself to his father and Jack and I started exchanging compliments about our costumes, mine incomplete as it was too hot to wear my tweed. 'Where's your bow tie?' he challenged me. I pulled it out of the pocket of the tweed I was putting on. 'Bow ties are cool!' we agreed. 'But you haven't got braces like mine!' Jack exclaimed. The other pocket of my tweed soon put that right. Though I had foolishly left my sonic at home, so I was truely trumped on that one. I had only been in full costume a few seconds before someone approached me and ask if I knew of the Eleventh Doctor costume blog, or the Tennant Coat one too. I was rumbled! We had a nice chat, interrupted by the arrival of Steven Moffat, who stopped to sign numerous autographs. Jack was taken to see him and as he passed he complimented him on his costume. Jack took it in his stride. Less could be said of Arthur Darvill who swished past without signing or stopping for anyone. A round of boos and hisses convayed the crowds sentiments there. Entry was by ticket only, and I managed to nab a couple through eBay - at hyperinflated prices, but ho hum. Bafta were not issuing tickets before the event, instead working it as a names-on-list affair, so it wasn't until my seller could collect his own ticket before I could have mine. 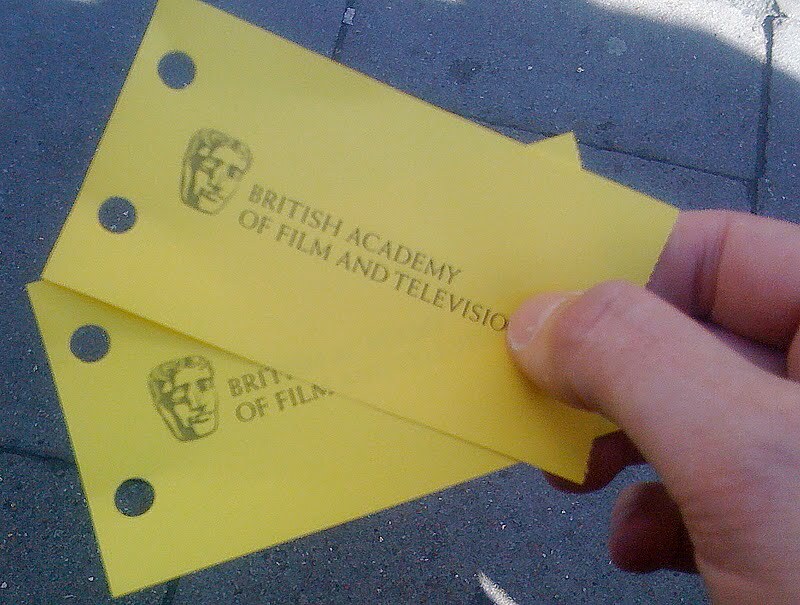 The rickets themselves were a very dull and boring thing to hold, just being yellow pieces of paper with the Bafta logo on it. I was hoping for a nice momento of the evening, but I'll have to look elsewhere for that. Going in we found some good seats, as it turned out immediately in front of Ian Levine and Warris Hussein, the director of the first ever Who story back in 1963. Also entering we saw Susan Hampshire. Yes, I didn't work that one out either! The audatorium was packed, and after squeezing in the final few, it was time to start the proceedings.